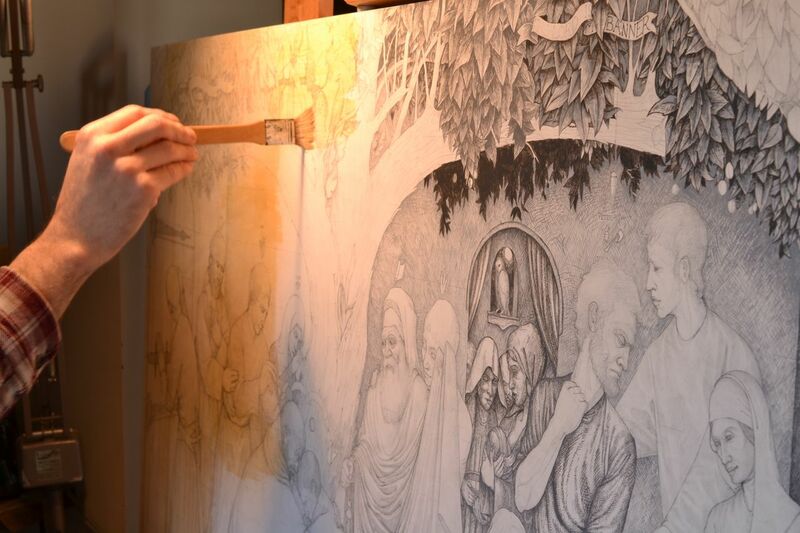 Saint Thomas is now on the easel to receive a grisaille underpainting in oils. 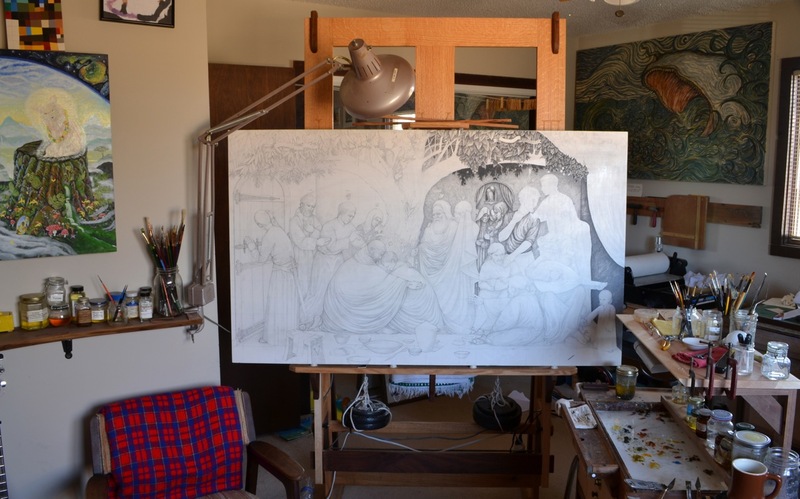 After being crushed by my attempt to make an egg-tempera grisaille underpainting on this panel of Thomas and Jesus, et al., I have decided to move my historical experimentations to a panel of more manageable dimensions. 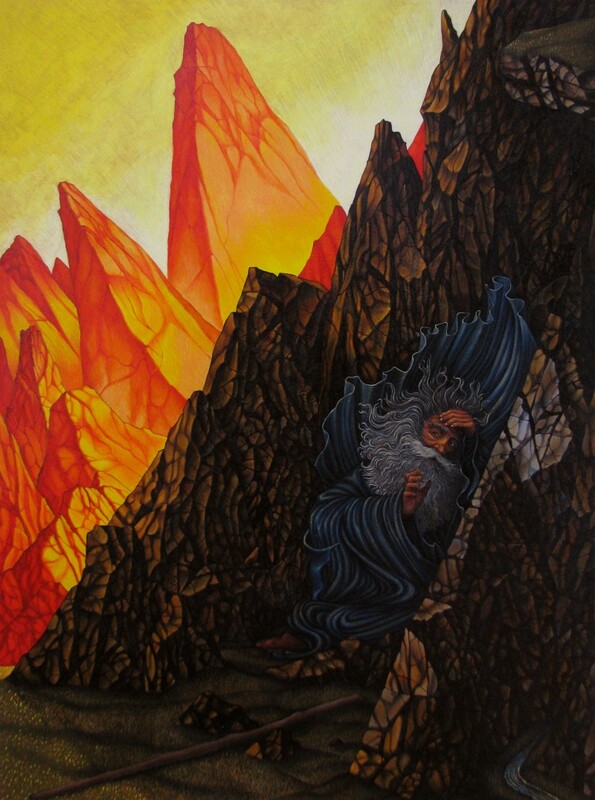 Moses in the Rock is the only picture I have made using egg tempera as an underpainting and it is quite small. 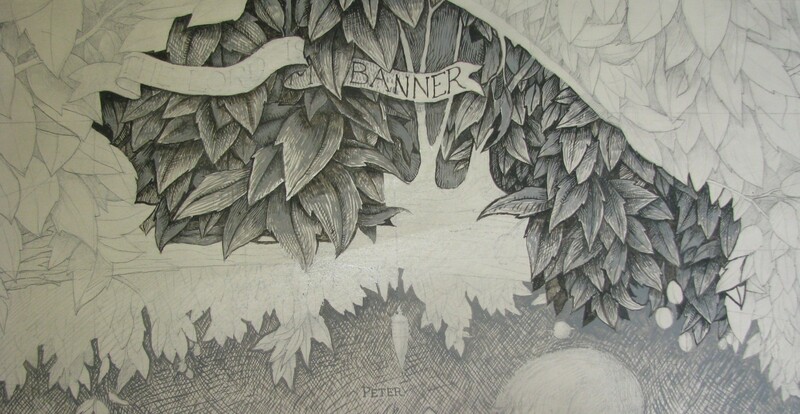 This represents the largest panel I have ever undertaken with the most fully developed charters as well. 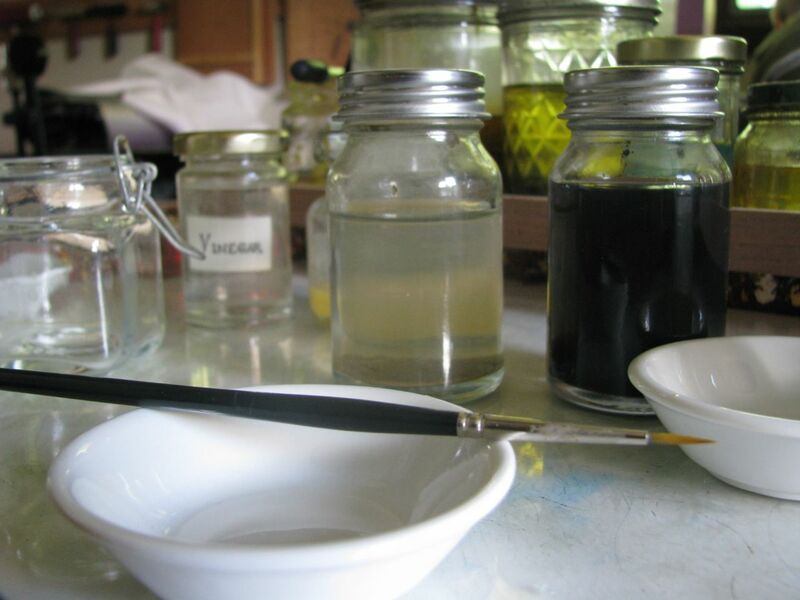 Egg tempera is very slow (and I already work very slowly), and having already allowed a 5 year window to make this picture, I shall try to fully embrace those other challenges in a noble fashion in addition to honoring my time. 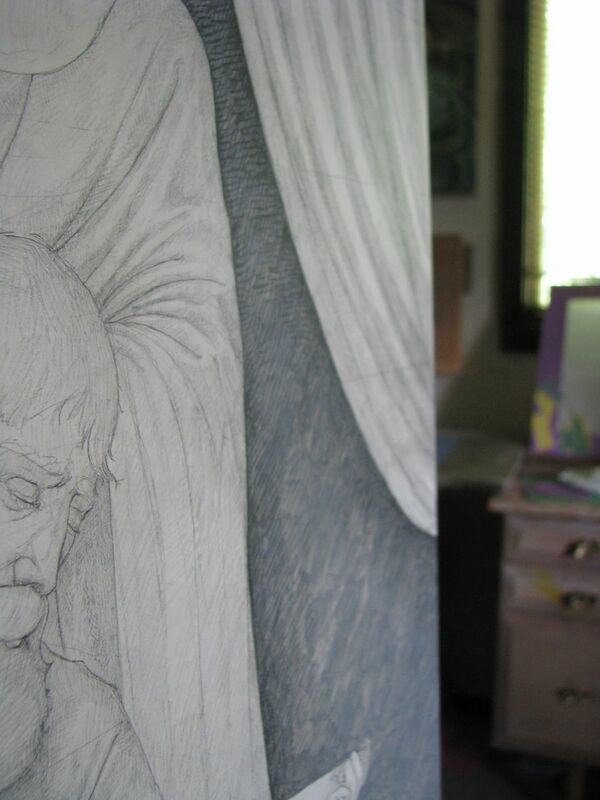 Mixing the medium for the thinning of colors for underpainting. 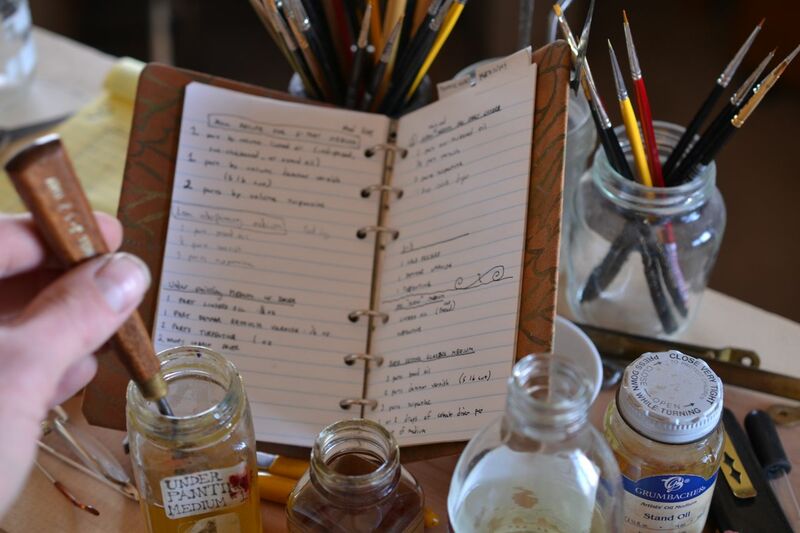 Applying a coat of thinned shellac over the absorbent gesso and egg tempera. Please take a moment to visit my friend Mike Schultz interesting post on his blog the other day. 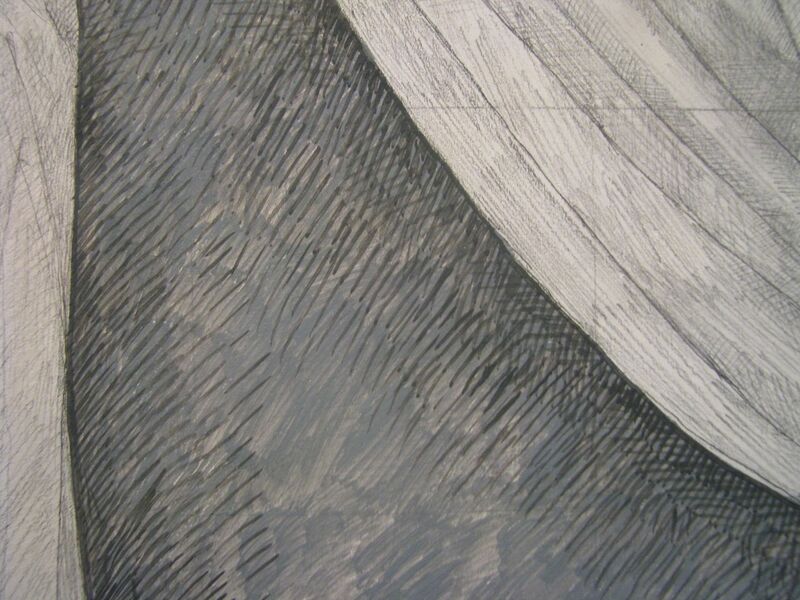 Slow and periodic movement across the panel of Thomas’ egg-tempera underpainting. 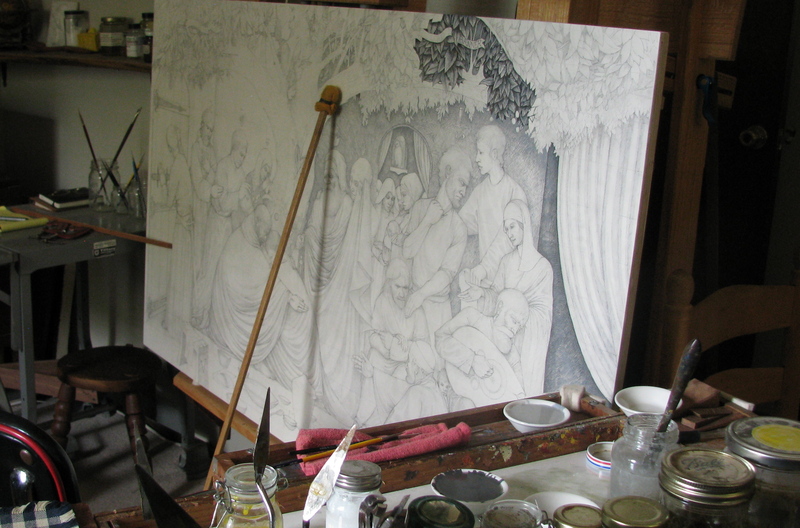 Beginning of grisaille (gray-scale) underpainting for panel of Thomas in egg-tempera.